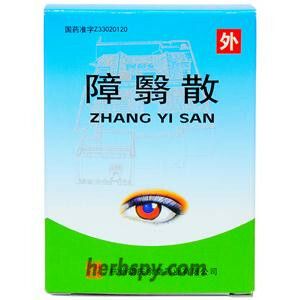 For liver and kidney deficiency,fire excess from yin deficiency,cataract dark eyesight, visual dim. Enriching yin and nourishing kidney,clearing liver and improving vision. Dendrobium Herba,Ginseng Root,Common Yam,Indian Bread,Liquorice Root, Desertliving Cistanche,Barbary Wolfberry Fruit,Dodder Seed,Rehmannia Root,Prepared Rehmannia Root,Chinese Magnolivine Fruit,Cochinchinese Asparagus Root,Dwarf Lilyturf Tuber,Bitter Apricot Seed,Divaricate Saposhnikovia Root,Szechwan Lovage Rhizome,Bitter Orange,Coptis chinensis Golden Thread,Twotoothed Achyranthes Root, Chrysanthemun Flower,Salt prepared Puncturevine Caltrop Fruit,Feather Cockscomb Seed,Cassia Seed,Buffalo horn concentrate powder,Goat horn,and accessories is honey. The product is brown water pill; sweet and bitter. 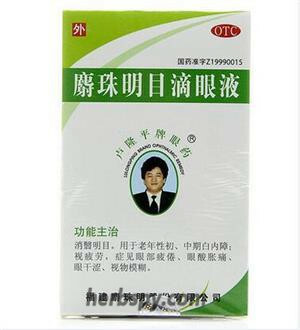 For oral use after meals,7.3g (1 sachet) twice daily or by medical ordor. 3.Pregnant and lactation women,diarrhea due to weak spleen patients should be taken under the guidance of physician. 4. 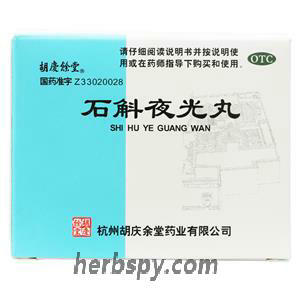 This product is suitable for early senile cataract. 5.Two weeks without any remission,should go to hospital. Stage Food and Drug Administration Approval number:Z33020028.